I don’t know much about shampoos, because I’ve always used a limited selection. I noticed this one [on sale] that had argan oil in it and thought I’d try it out. I know nothing about this product line but I had faith that my hair wouldn’t fall out. Gently cleanses, exerting a protective and plumping action. WITH ARGAN OIL AND HYALURONIC ACID SLES FREE. High performing professional products meant for home usage. Sometimes I feel like these companies just use the words we as consumers need to see to be convinced to open our wallets. So! There I was convinced and purchasing! Lol. I shampoo my hair once a month, while I co-wash and deep condition the other 3 weeks. Basically, I do anything necessary to ensure my hair maintains moisture. As we all know, some shampoos can strip your hair of moisture as it cleans – so you end up with clean and literally crispy hair. Thankfully that wasn’t the case with this shampoo. It left my hair with “slip” while it looked and felt squeaky clean. So, in acutality, this shampoo did exactly as promised and protected the follicles while it cleaned it. A little goes a long way and I never feel like I have to over-compensate during the conditioner stage to replace any moisture that I worked hard all week to maintain. My hair felt soft after shampooing and it was easy to run my fingers through it without any tangling issues. I purchased the shampoo at Winners for $7.99 and I’m happy with my purchase. This is another GET IT! So STORYTIME! UMMMM why didn’t I know that Drew Barrymore had a beauty line until one fateful day a few months ago while perusing the Walmart cosmetics section? And you know what caught my eye? The name – FLOWER. The hippie in me immediately went “oooooooo qu’est-ce que c’est?”. I can’t help these things, really. I still didn’t know it was Drew’s tingting until I overheard a couple of teenagers talking about it and her name came up. A quick google sesh on my phone during what turned into a mini espionage assignment confirmed my eaves…. errrr findings. Anyway, I obviously had to try something. Obviously. Intense color payoff with a velvet finish in a self-sharpening Chubby! It goes on smoothly and feels like I’m just applying a lip balm. 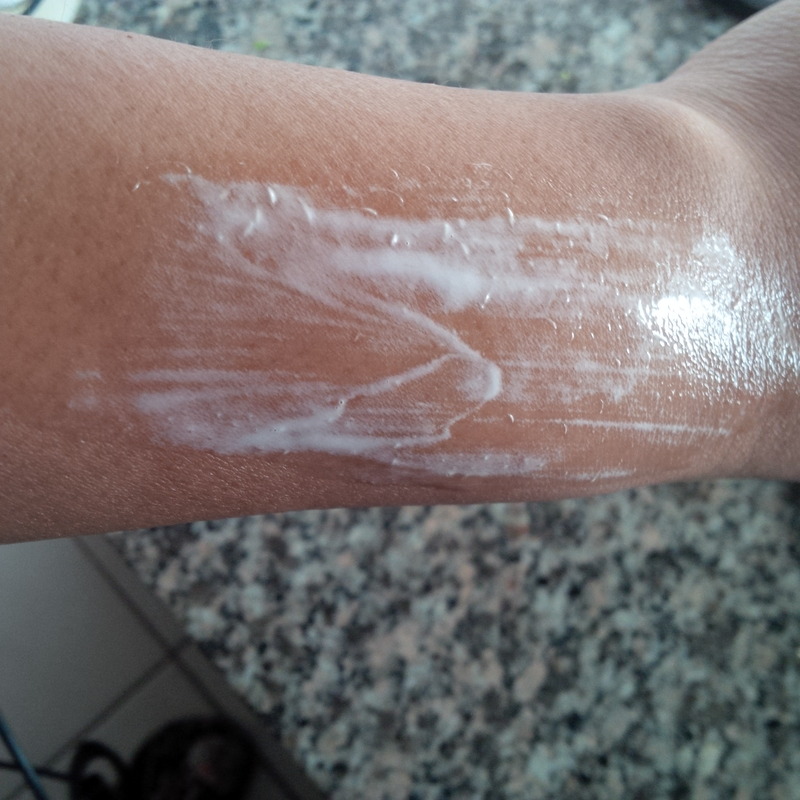 I think that’s what I liked the most about it – it is pleasantly moisturizing. At the same time, though, the colour remains matte. Matte and Moisturizing is a hard combo to come by. Since I was on vacation, I went from doing absolutely nothing to “hey, move it little sis” in a matter of minutes, and this product was great for on-to-go. I knew that it would “go” with whatever I wore and I love how easy it was to apply. It’s available at Walmart in the $7 – $8 range so no complaints in the area of cost. This definitely is a GET IT for me. I can’t wait to try the other colours. Can we just take a minute to talk about how fast this year is flying by? April GIFI already? Are you kidding me? It’s like every time we turn around it is already a new month. Please slow down, 2015. Last month, I was in Vegas for a little over a week. Due to the sad state of our Canadian dollar, I tried to keep my shopping to a minimum. However, I couldn’t help but pick up some beauty items that haven’t made their way to my side of the border yet. My bestie and I were pursuing the Anastasia counter at Macy’s in search of Pure Hollywood liquid lipstick (sold out!) when the most gorge sales associate with a flawless face caught our eye. We immediately asked him to give us the low down on every product he was using to create his flawless completion. One of his recommendations was the Anastasia concealer. I picked it up in shade 1.5 and was excited to try it out. 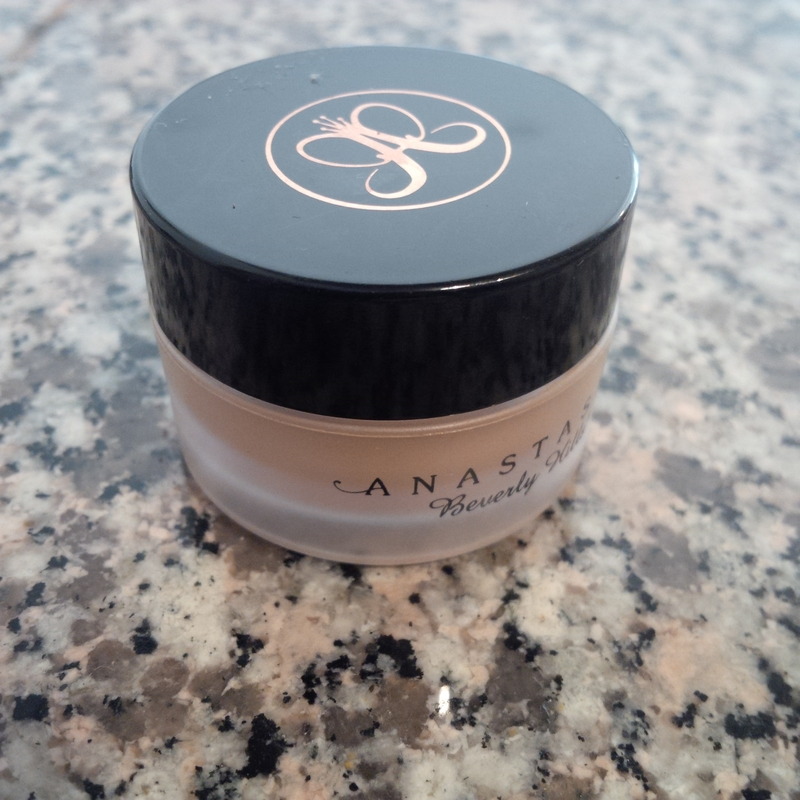 According to the Anastasia website: this full-coverage concealer instantly camouflages dark under-eye circles, hyperpigmentation, and blemishes. The hydrating cream formula glides over skin without caking or settling for results that are smooth, natural, and flawless. I use concealer primarily to brighten my under eye area and to even out any skin imperfections or unevenness. 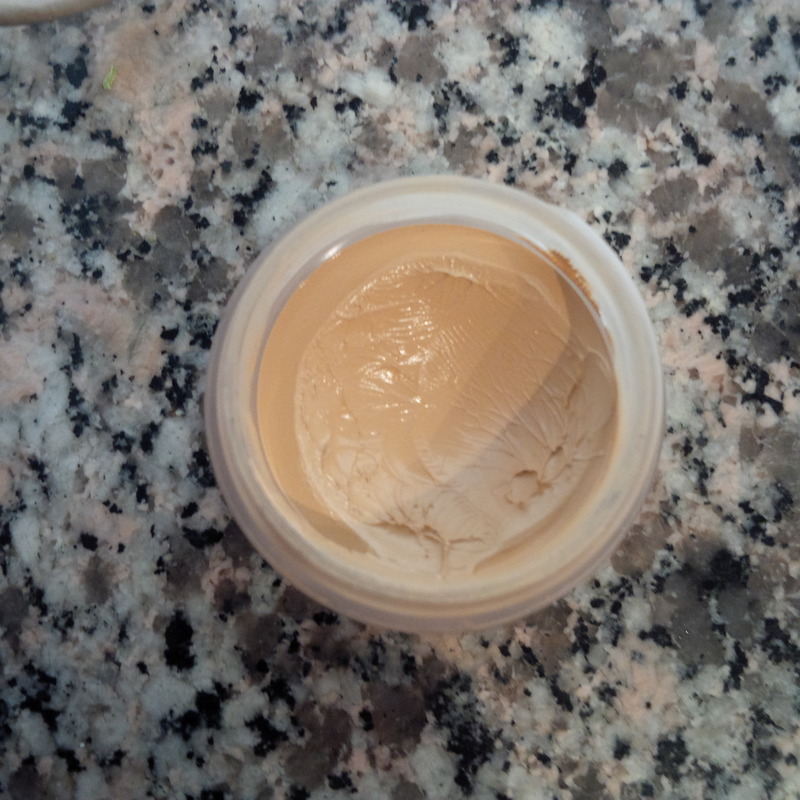 The first thing that I noticed was that this concealer is super thick, creamy and opaque. 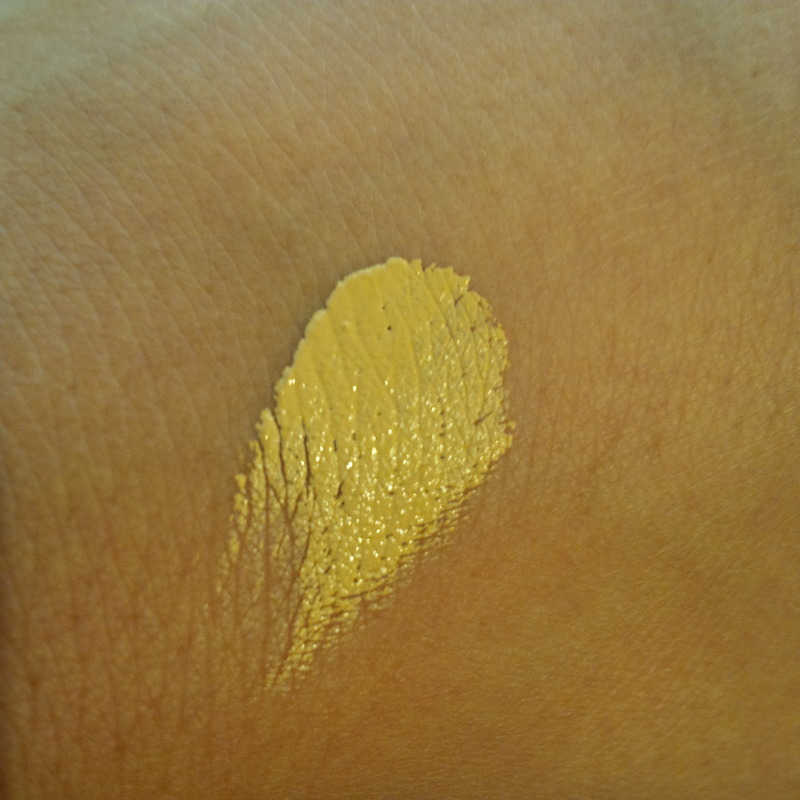 The colour is a perfect bright caramel shade with a yellow undertone. I gravitate towards concealers that are quite yellow and a few shades lighter than my skin tone. So this is perfect. A little of this product goes a very long way. One tiny dab can be used and blended out for both my eyes. This concealer blends out like a creamy dream and is super brightening without being cakey or settling in fine lines. I use Ben Nye Banana powder to set it and it stays in place all day. It is important to note that I really do just use the tiniest amount of this concealer. I can see how it could get cakey if you use too much as it is so opaque. Less is more with this one. A surprise use for this concealer that I discovered is on my brow bone. It provides a subtle highlight and even helps to disguise some rogue eyebrow hairs when I am in between threading sessions. 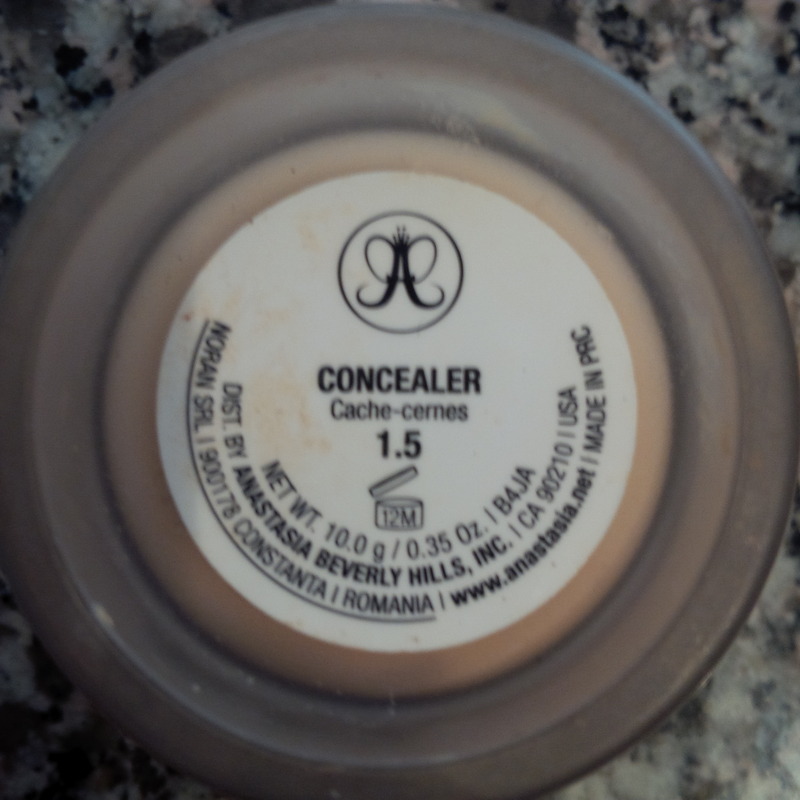 The Anastasia concealer is so pigmented and creamy that I want to pick up a darker one and see if I can sheer it out and use it instead of foundation to even out my skin in problem areas. It comes in sixteen different shades and I love that it seems to cover the whole spectrum from light to deep, both warm and cool undertones. At $20, I feel this concealer is worth it. Just a dab will get the job done, so this will last a very long time. I am so impressed with the Anastasia concealer in 1.5, I would go as far as to say it is the best full coverage concealer I have ever used. It has definitely become a staple in my makeup routine and I will continue to repurchase this gem. GET IT! If you have ever been to Las Vegas you know that it is desert. Dry, desert. 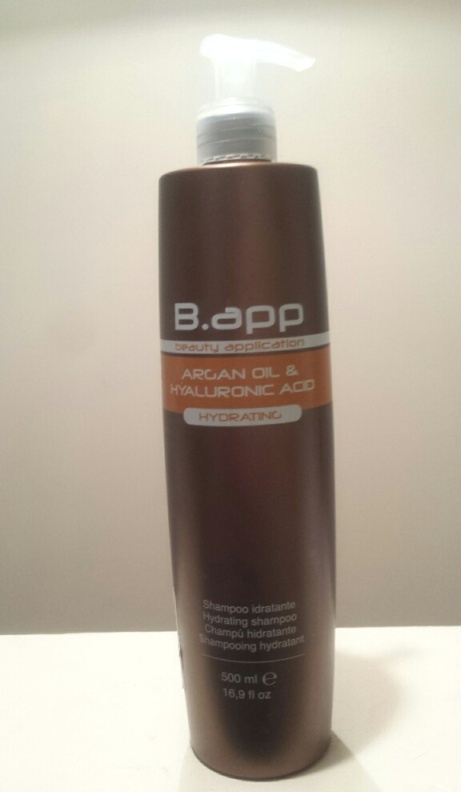 And while dry heat is the bomb.com for preserving your hairdo (no frizz!) it can wreak havoc on your skin. When I left for Vegas I was already having some skin issues. By the time I had sat through a dehydrating flight and spent a couple of days in the heat I can a case of very angry skin. So I headed to Ulta to pick up some Mario Badescu products, as this line has been pretty good at clearing up my skin in the past. I had heard good things about the Glycolic Cleanser so I decided to pick one up. I had been using the Philosophy Purity cleanser and I don’t love it. So, I thought I would try one more before returning to my favourite Vichy Normaderm. 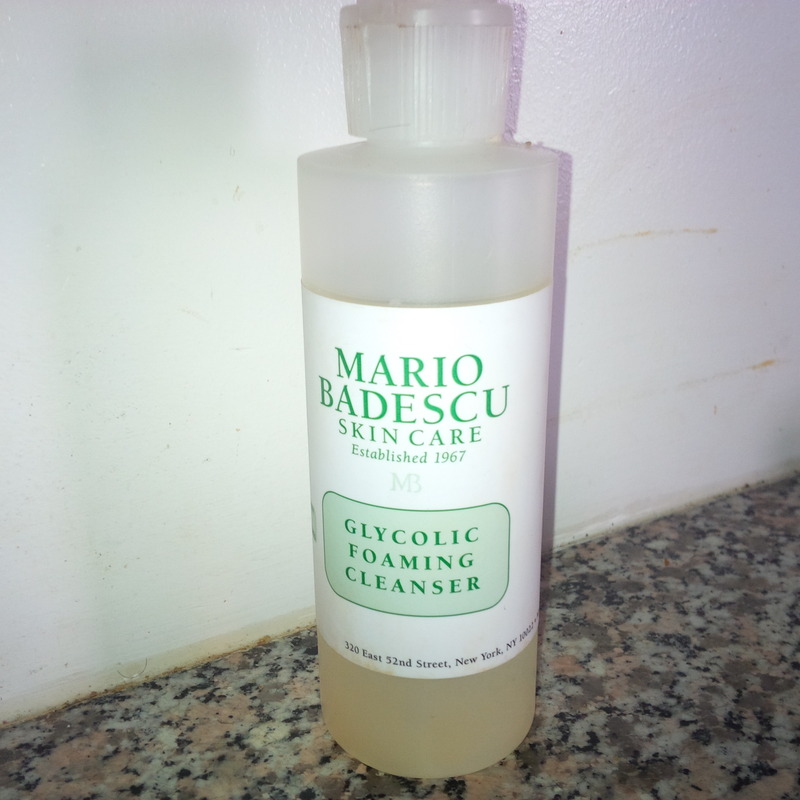 Mario Badescu Glycolic Foaming Cleanser is recommended for dull, congested skin. This lathering, deep cleanser has the exfoliating powers of glycolic acid to break down build-up from skins surface, reduce minor discoloration and leave skin radiant and smooth. It is formulated with herbal extracts for soothing benefits and is recommended for use 2-3 times weekly. I really like the simple packaging of Mario Badescu products. I purchased the 6 oz. bottle of Glycolic Cleanser for $18. The plastic squeeze bottle made for easy packing without worry about leaking or locking a pump top. I can easily squeeze a small pea sized amount out as that is all I need to cleanse my whole face. The cleanser has no scent which is nice as it likely means that it doesn’t contain any irritating perfumes. It lathers up very quickly when I wet it and apply it to my face. The glycolic cleanser does a good job of cleansing my face and removing all makeup. My skin feels clean and fresh after use, without feeling tight or stripped. However, I haven’t noticed a great improvement in my skin’s tone or texture after almost a month of use. My skin did clean up, but I really feel like it had more to do with returning home to familiar climate and water, than this product. Is it a good cleanser? Yep. But I guess I wanted to be wowed. I thought the exfoliating powers of glycolic acid would be more perceivable. But, maybe I just haven’t given it enough time. I’ll continue to test drive the Glycolic Cleanser until I finish the bottle but at this point I’m going to say it has officially underwhelmed me. FORGET IT! Great reviews! 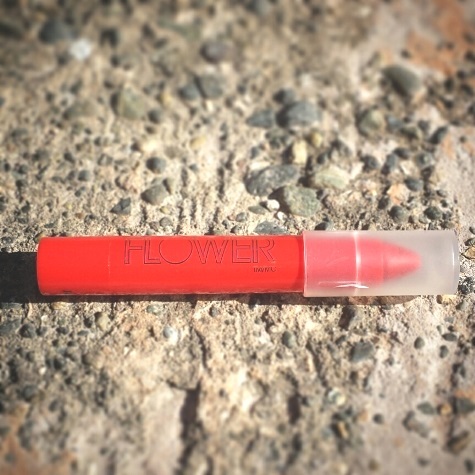 Thanks Chris for the review of Flower Beauty Lip Suede – I have never found a coral lipstick that went on as opaque as I like – and my lips are unevenly pigmented to begin with. 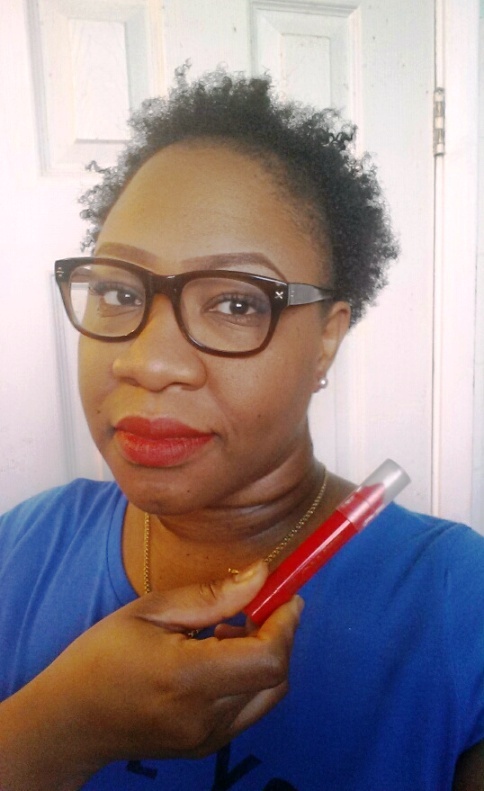 Thank you Ash for the Anastasia Concealer review – my concealer settles into the little lines under my eyes making them look a little like fault lines in the earth’s crust sometimes so I am ready to try something different. I am having blah, I-feel-icky days lately, so I’m looking for a boost – something to make me more glowy. I’m off to read Ash’s Vitamin C product review now!